Christmas always provides challenges. Your kids are great and deserve presents, but you don't want a ton of presents cluttering the house. You want the presents to be worthwhile and maybe a little educational when possible. Hendrix still very much enjoys playing with toys, all of his toys. He'll rediscover something he hadn't played with in a week and it is like it is brand new. I love toys that come with a variety of learning components since Hendrix spends so much time with them. HABA offers a wide selection of toys that are very well made and are excellent learning tools. 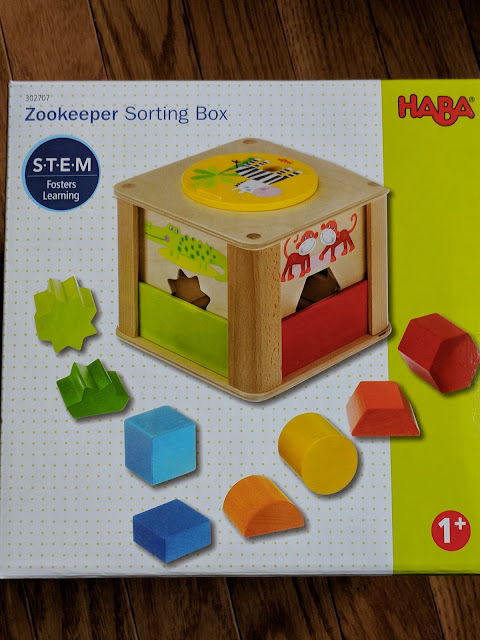 I was fortunate to get the Zookeeper Sorting Box and the Learning Chopsticks. 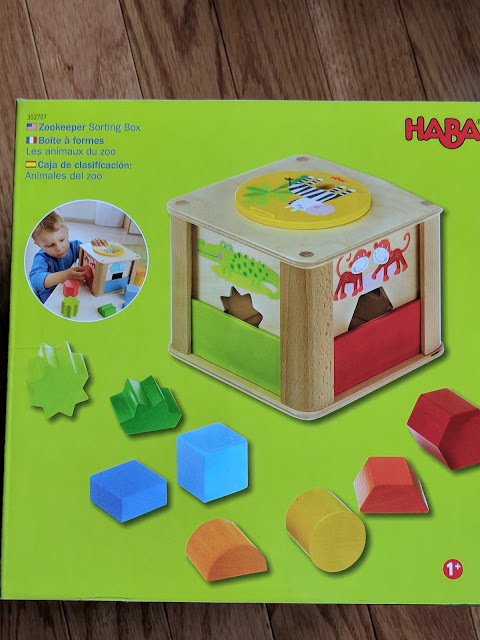 HABA is a German owned company that aims to create toys that encourage children's development. For 72 years, his father and the current owner, Mr. Klaus Habermaass, have continued to create quality children's toys that foster skills in young children. 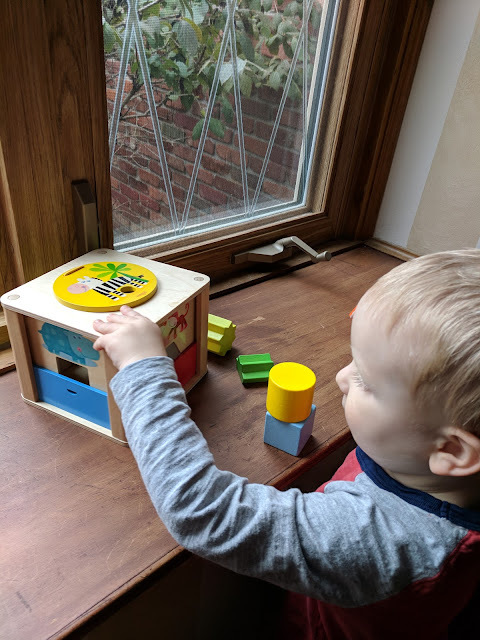 All the wooden toys crafted in Germany are made from reforested timbers. Yet another reason to support this unique company! Hendrix took to the colors and design of the box immediately. 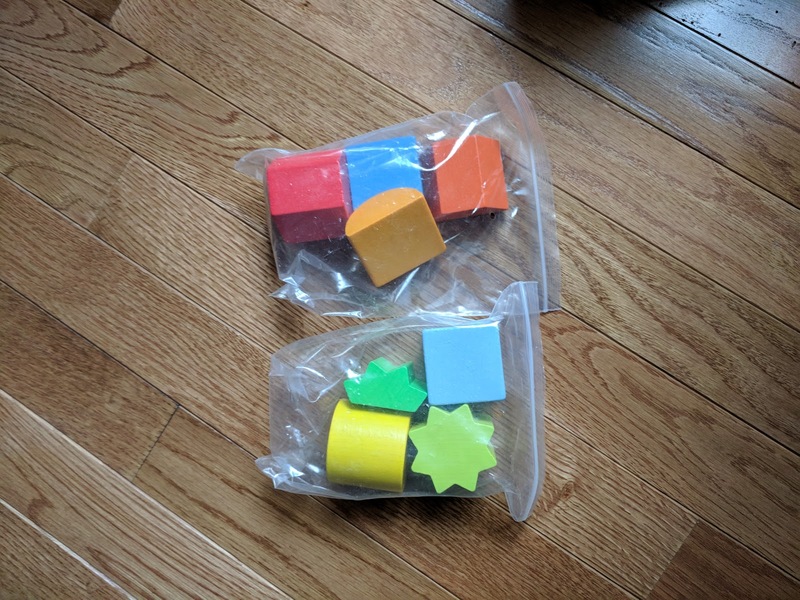 The shapes and the box are very well made and will last a very long time. Hendrix loves that he can put the whole shape in and then try half of the shape. As soon as I opened it, Hendrix played with it for at least 15 minutes. The colors, animals, and overall design are incredibly attractive. 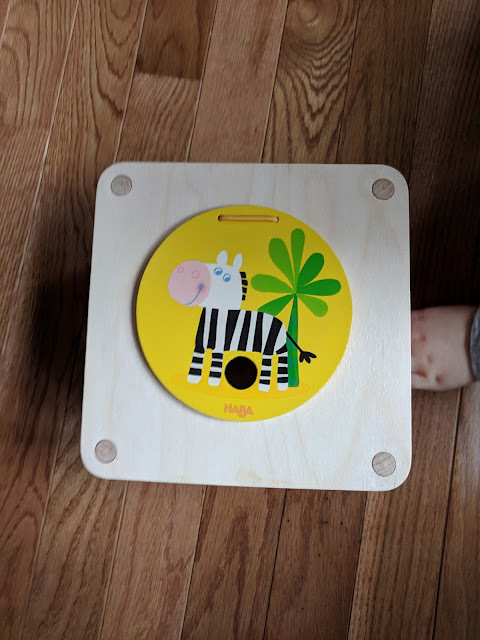 The different options to practice the shapes provide fine motor skill practice as well as practice with matching shapes and colors. 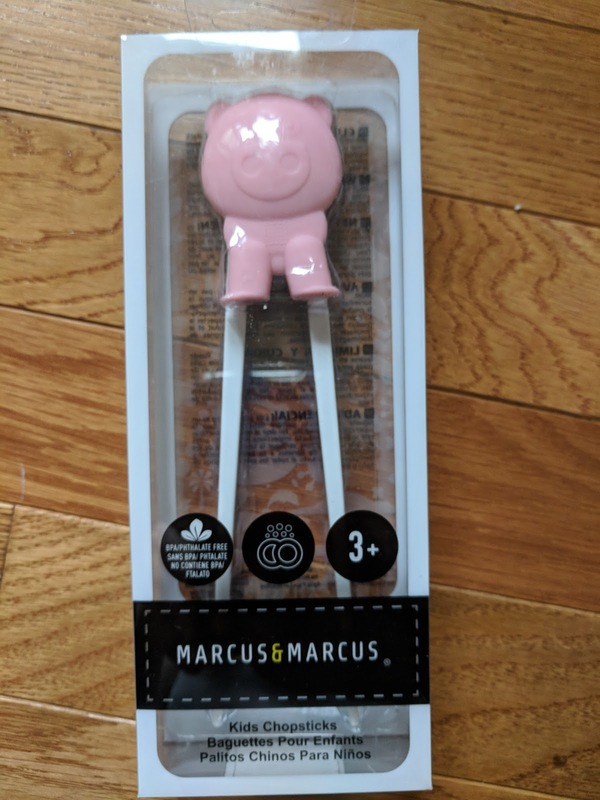 The Learning Pink Pig Chopsticks are adorable and extremely functional. These are adorably themed, making using them more enticing for little ones. Talk about working on fine motor skills! Hendrix has tried them; he doesn't quite have the hang of it yet, but he's getting there. The Zookeeper Sorting Box can be purchased for $34.99. The Learning Pink Pig Chopsticks run $9.99. If you're looking for something different, HABA sells games, soft toys, and little sets that are perfect for children. These gifts are perfect for little ones who have everything. If you want the parents to be able to choose, HABA has gift certificates you can buy. Follow them on social media for cool new toys! What other toys caught your eye?